How do I view or install Ubuntu Touch apps? 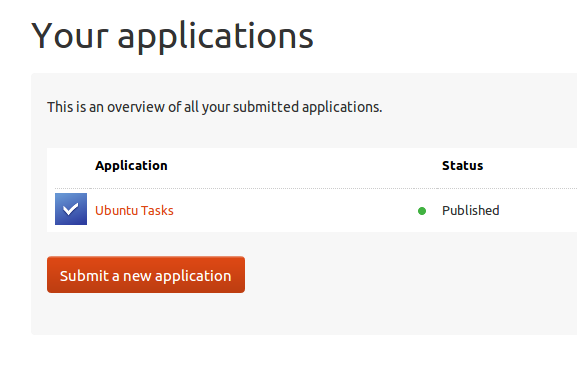 Lots of people have started developing Ubuntu Touch apps for the Ubuntu App Showdown and just in general, and have published them in the Click App Store. What is the Click App Store, and how do I install apps published in it? What is the Click App Store? The Click App Store is not an application that runs on your phone, tablet, or computer. Instead, it is the service that hosts Ubuntu Touch apps that have been packaged as Click packages. 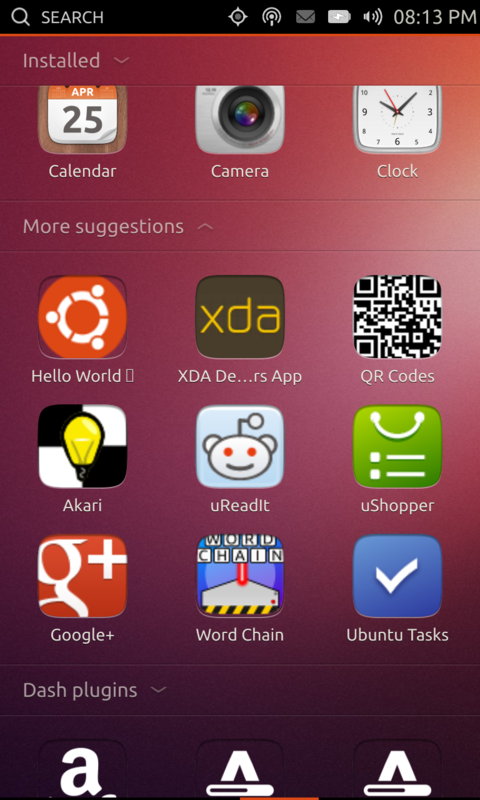 How do I install or view Ubuntu Touch apps? Currently, there is no equivalent to http://apps.ubuntu.com for viewing Ubuntu Touch apps. I believe this is coming soon, though! If you're running the regular, desktop version of Ubuntu, there is no way to view or install Ubuntu Touch apps by default. 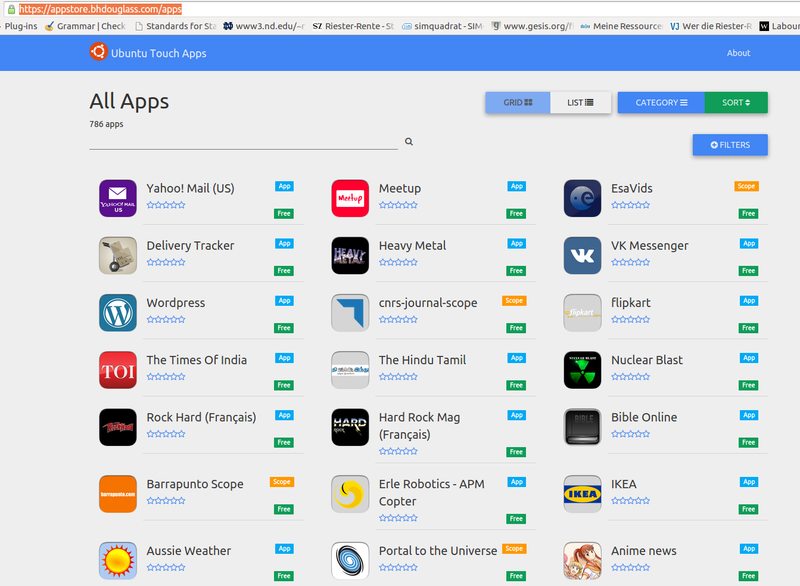 Currently, the Ubuntu Software Center does not show Ubuntu Touch apps. It is written using the Ubuntu SDK, so that needs to be installed to run it. You can download it from https://github.com/iBeliever/click-appstore, compile and run it as any other Qt app. Currently, it lets you browse the available apps and view details about them. I'm currently working on a way to install apps on the desktop. 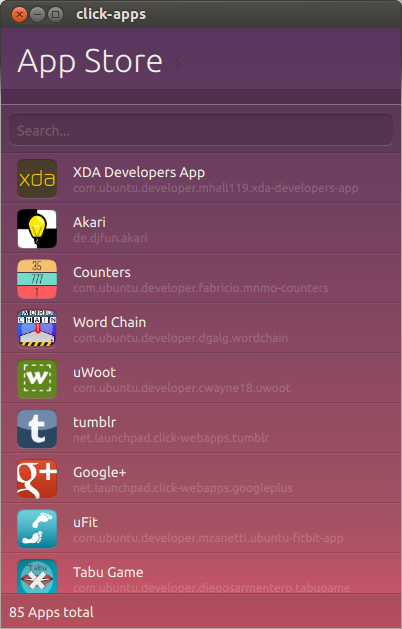 If you're running Ubuntu Touch, you can view and install applications by searching the Applications scope in the Dash. Can you use QProcess in a Click Packaged Application?